When you talk about Hall of Famers, for the most part you talk about guys that have exceeded both on and off the field. To be selected into any Hall of Fame, the press chooses players based on their contribution to their team and how they excelled as a player. In 2011, the most controversial player in the National Basketball Association (NBA), was inducted into the Hall of Fame. Just because Rodman has been exalted into basketball immortality, does not mean he is done being the most controversial basketball player in the league. It appears that Dennis Rodman has become the most controversial American citizen. 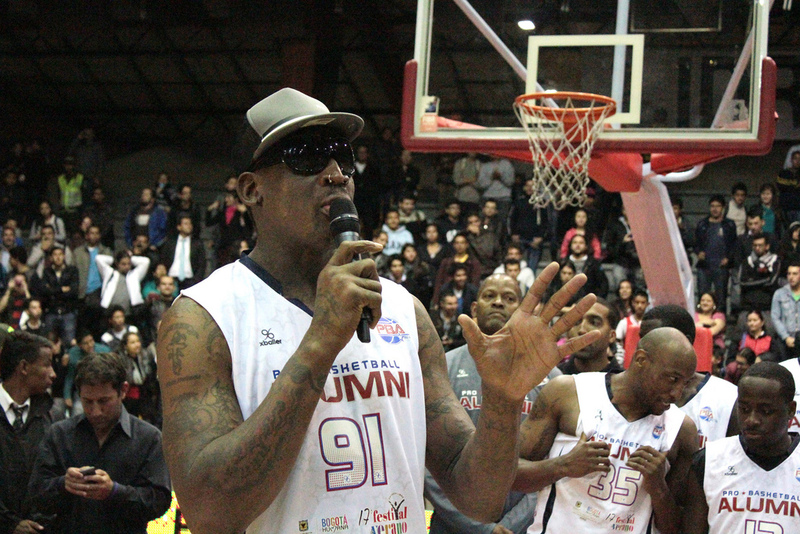 On February 26, 2013, Rodman took a trip to North Korea with Vice Media, an international magazine that focuses on arts, culture and news topics. While in North Korea, Rodman got the chance to visit with North Korean leader Kim Jong-un. After his meeting with the leader Rodman said that Jong-un was “a friend for life” and suggested that President Obama should give him a call. The NBA star’s behavior begs the question, is it unethical and un-American to visit North Korea? Here is my answer: why does it matter? Yes North Korean leader, Jong-un, has threatened the United States multiple times but why can’t we as citizens of this world go out and explore other countries and be friends with who we want to be? If we can’t visit the countries that have ever threatened the world then we shouldn’t be able to visit places like Germany, because Adolf Hitler almost made a whole race go extinct. Why was it okay for Gandhi to be friends with Hitler, but a basketball player can’t be friends with this North Korean leader? I’m not saying that what North Korea is doing is right; but if we get too caught up in politics, then perhaps we should not be allowed to leave our respective countries. There will always be conflict between countries, but I don’t think it’s fair for the press to criticize Rodman for his visits to North Korea.